Nars Heatwave is one of those lipsticks you just need to have. 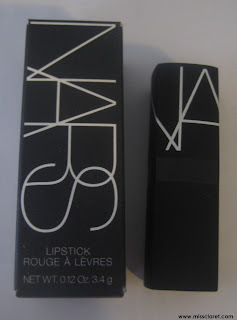 This is my second tube which is saying a lot given I can't seem to finish anything else! 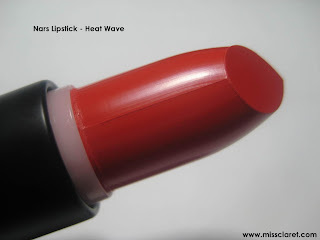 Heat Wave is an intense red orange - classic with attitude. 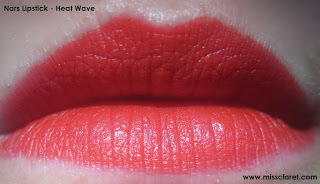 On my skin, it brightens and the formula is long lasting and richly pigmented. A must for every red lipstick lovers purse.